Virgin Atlantic Cargo has reported revenues of £174 million for 2016 as its freight volumes rose 1.8% in a challenging market environment. Overall, the airline carried 218,000 tonnes of cargo across its international network offering customers direct services to major cities in the United States, Dubai, Hong Kong and China, India, Nigeria and South Africa as well as to Cuba, Mexico and destinations in the Caribbean. This resulted in the year-end contribution target being overachieved by 2%. The result was helped by a strong second half of the year and high peak season demand, although the growth in volume was offset by price pressure driven by overcapacity in the market and the weakness of the pound. December’s performance ensured a strong end to the year with volumes up 5% year-on-year and revenue 16% above target. During the month, the airline’s cargo business ex-UK was 4% ahead of the previous year in terms of tonnage, while eastbound freight volumes from the U.S. to the UK rose 4% compared to the same month in 2015. 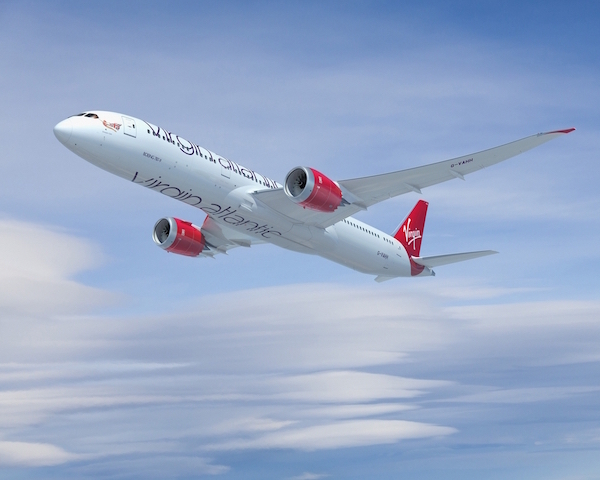 Virgin’s load factor of 64% continued to be significantly above the industry average supported by increased pharma and ecommerce business, notably to and from the U.S. The airline’s transatlantic joint venture with Delta Air Lines also contributed to the growth in cargo tonnage. Routes from the UK to New York, Boston, Chicago, Detroit, Atlanta, Los Angeles and San Francisco were among those showing year-on-year gains in volume, as did Dubai. Flights from the U.S. to London and Manchester also received strong customer support with Virgin’s flights from Atlanta, Boston, Detroit, Los Angeles, Miami, San Francisco and Washington showing revenue and tonnage increases. There were also double digit increases in volumes ex Delhi and Lagos. The airline’s 2017 performance will be supported by the launch of its daily Heathrow-Seattle route, a weekly service from Gatwick to Varadero in Cuba, and new flights from Manchester to San Francisco, Boston and New York JFK. Longer-term, the airline’s cargo business will receive a further boost from Virgin Atlantic’s order in 2016 for 12 Airbus A350-1000s, which have a list price value of $4.4bn, as part of an investment programme to replace its entire fleet in a decade. When deliveries commence in early 2019, the A350 will offer a significant improvement in lower deck cargo capacity of between 10% and 22% depending on configuration. 2016 also saw the airline take delivery of four more Boeing 787-9s.